Five years after promising to shut down the torture camp at the illegally-occupied Cuban island of Guantanamo Bay (Gitmo), it remains open. In fact, there are plans to expand the gulag. The American regime acts as an outlaw. How should one read America’s policy on terrorism and terrorist groups? The US has declared al-Qaeda, the Islamic Front of Iraq and al-Sham (ISIS) as well as Jabhat al-Nusra as terrorist groups yet there is ample evidence to prove that Washington is in bed with these same hoodlums and mass murderers. American weapons, funding and CIA trainers have been involved in developing their fighting capacity against the government of President Bashar al-Asad in Syria. When the ISIS thugs crossed over into Iraq, the US claimed these were terrorists. So what are they: US allies or terrorists? The US is not prepared to do anything to confront these thugs. Sure, we are not advocating the US invasion of Iraq again; our question relates to American behavior and policy. If the US is serious about confronting terrorism, why are CIA operatives training the terrorists in Jordan? This has gone on since at least 2012. There is another contradiction in US foreign policy. This relates to the continued operation of the torture chamber at the illegally occupied Cuban island of Guantanamo Bay, commonly referred to as Gitmo. Periodically some news emerges about what is going on there. Often the news relates to prisoners being forced-fed, assaulted or beaten. The vast majority of prisoners were cleared for release years ago but they continue to languish in the torture chamber because it has become a political football between the White House and Congress. President Barack Obama does not want to spend political capital on an issue that affects the lives of innocent people of other countries. He can afford to wait and let these people languish even if they are completely innocent. Last month, the presiding judge at the military tribunal in Gitmo, Colonel James L Pohl issued an 11-page ruling in the case of Abd al-Rahman al-Nashiri, a Saudi citizen. The judge ruled that prosecution attorneys must provide the defence information about the black sites where al-Nashiri was held, what was done to him and by whom during his incarceration before being shipped to Gitmo. The prosecution has demanded the death penalty. Al-Nashiri is accused of masterminding the attack on the USS Cole in Yemen in October 2000. The Saudi citizen has been water boarded and subjected to other forms of torture during his long years of incarceration. As a consequence of undergoing prolonged torture, al-Nashiri suffers from post-traumatic stress disorder (PTSD). 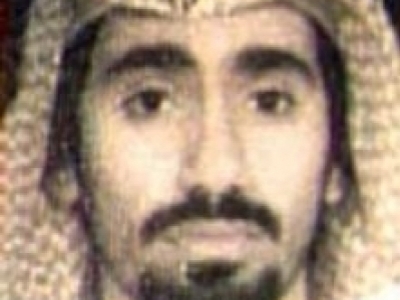 American agents captured him in Dubai two years after the USS Cole attack. For four years, he was shifted between different secret CIA prisons before being taken to Gitmo in September 2006. The reason for his frequent transfers was to keep attention away from a single location. All these prisons were illegally maintained albeit with the connivance of local governments, whether in Europe, the Middle East or Southeast Asia. Colonel Pohl, however, said in his ruling that the prosecutors may shield the identities of some agents. The “leeway” comes from a footnote, according to those who read the ruling. Pohl suggested prosecutors might selectively invoke the Intelligence Identities Protection Act—he cites in US law, “50 USC 421”—to withhold from defense lawyers the names of CIA agents who worked at the black sites. The judge has yet to rule on the defence request for a complete copy of the Senate Select Committee on Intelligence’s so-called “Torture Report,” a massive, classified examination of the CIA’s secret interrogation program; 500 pages of this report have been reviewed by the CIA for declassification and passed on to the White House. Al-Nashiri and four others are on trial at the military tribunal. The four include persons accused of participating in the 911 attacks. Its alleged mastermind, Khalid Sheikh Mohammed was waterboarded 183 times. Defence lawyers have sought information about the black sites where Khalid Sheikh Mohammed and others were held and waterboarded, a request the prosecution is resisting. Soon after he took office in January 2009, Obama issued Executive Order #13493 amid much fanfare that he would shut down Gitmo within one year. To the applause of American drumbeaters, he proclaimed that torture chamber was a blot on the “good name” of America. Not only one year but five years have elapsed yet Obama’s promise remains unfulfilled. 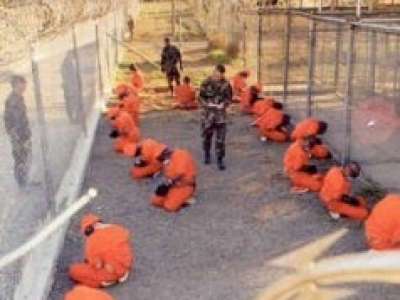 In fact, it took three years after a Freedom of Information request was made to the US government that the Pentagon released the full list of detainees in Guantanamo Bay in 2013. The list was updated by the Associated Press in November and included the names of 164 prisoners. Those that died in detention or were released were not on the list. The AP list broke down detainees by name and home country. Of the 164 detainees, the largest number, 88 were from Yemen followed by Afghanistan (17), Saudi Arabia (12) and Algeria, Pakistan and Tunisia (5 each). Four detainees were listed as being from Libya while there were three each from China (Uighurs) and Syria. Kuwait, Malaysia, Mauritania, Sudan and Morocco have two each. Two months ago, the US released five senior Taliban members in exchange for the captured US sergeant Bowe Bergdahl. The five Taliban members had served as ministers in the Taliban government and could in no way be considered terrorists since they served in a government with which the US had dealings even if it had not recognized it formally. Three US allies—Saudi Arabia, the United Arab Emirates and Pakistan—had recognized the Taliban government until the US invaded Afghanistan in October 2001 toppling them a month later. Misspelling of several names is evident from the Pentagon list indicating lack of knowledge of those tasked with compiling even such basic data as names. The Pentagon also released a list of 48 “indefinite detainees.” These detainees will not be released, ever. They will also not be charged with any offence or presented in any court, not even a kangaroo court. The US considers itself above the law. The “indefinite detainees’” list contains prisoners’ internment serial number (ISN), names and nationalities. Two of the mentioned “indefinite detainees” have died since the list was released, one of them allegedly of suicide and the other of a heart attack. The names of the two deceased prisoners are marked with an asterisk and the notation “deceased” on the second list. 164. Muhammad Ali Salem AI Zarnuki - Yemen. Far from closing it as he promised in January 2009, Obama authorized an infrastructure upgrade and also signed the National Defence Authorization Act (NDAA) in December 2011 that prevents the transfer of innocent prisoners held at Gitmo to their homeland or even the US mainland. Periodically, Obama has made soothing noises about the torture camp and how it is damaging America’s “reputation”. “Guantanamo has become a symbol around the world for an America that flouts the rule of law,” Obama said on May 23, 2013 during a speech at the American Military College in Washington, DC. He said, for the umpteenth time, he would like to close it, yet since January of 2013, there was no envoy appointed to oversee its closure. On July 1, 2013 Clifford Sloan took up his assignment as the newly appointed Gitmo closure envoy. The appointment and reopening of the office is the only concrete step Obama has taken concerning Guantanamo since his May counter-terrorism speech. 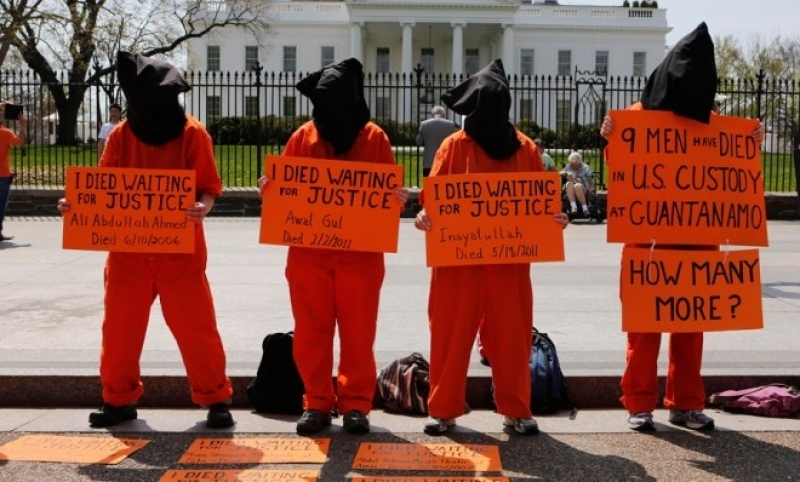 The US Senate has tried to facilitate release of the cleared prisoners as well as close the torture chamber altogether. The Senate Armed Services Committee passed a bill on June 13, 2013 a day before Congress’s NDAA amendment that would allow the Pentagon to send detainees to the US for medical treatment, sustained detention, and prosecution. Democratic Senator Carl Levin inserted the provisions into the Senate version of the 2014 NDAA, and the Senate would be voting on it in the fall.